As we promised we Crptocurrency Academy wish to deliver the most reliable information to our members in the simplest type of way so that it is easy for you to understand. A lot of queries were raised by our members since they did not understand what it is we were really talking about. So we are going to take you through the Basics, Airdrops, Icos, CryptoMining, CryptoTrading and decentralized apps.We will be covering the following topics via online webinars via the zoom application, if there are any changes we will communicate. From the term *cryptogaphy* comes the name crypto in Greek "Kruptos"which means hidden. Currency ­­­­­­­-A system of money, legal tender ,cash ,digital asset that is generally accepted in use as a medium of exchange or a store of value. The two terms combined bring forth the term crypto currency,which in simple term is a digital or virtual currency that uses cryptography encryption techniques to secure and regulate the generation of units and regulate the transfer of funds operating independently of a central bank. ⦁ Metamask google plug in. Cryptocurrencies have a set of traits that make them unique and by rule of thumb many people prefer using them. we are going to go through the different traits which are crucial to look at before investing or buying any cryptocurrency. 1. Decentralised - by decentralised we mean that there is no center of control, in other words nobody controls how they operate. Blockchain itself is decentralised meaning that there is no focal point of control.This is one of the main reasons most governments are not happy about this new arising technology since they have not discovered away to regulate it. Not all coins are decentralised, example Dash. 2. Anonymous - To start with an example if Bellah in china wishes to send Samuel in germany some crypto coins which have monetary value or send some private information inform of a message she will delightly do it without necessarily requiring to fill or diclose her identity for the transaction to take place no unless sje opts to disclose her credentials on the Memo/Tag/Message center. Once the transaction has been confirmed it will be registered on the blockchain / public ledger. To trace your transactions status you will have to use the specific block explorer of the specific coin.Example Ethereum transaction can be tracked on Ethscan Explorer. On the block explore you can either use the transaction hash or the wallet address which you feed on the search part of the explorers page. After the search the transaction status will be shown either confirmed if the transaction has been completed or the number of minutes remaining for the transaction to be completed. The transactors wallet addresses will be shown and the number of coins sent over will also be revealed not forgeting the time and date. Ethereum block explorer shows the gas that was set to steer the transaction to go though, the more the Gas the faster your trasaction becomes. All coins are maintain anonymity. 3. Blockchain - You must have read the term blockchain above or from our other articles a couple of times. So what is this blockchain, it is a digital public ledger where digital transactions are recorded. Blockchain continuously grows as more information is recorded in blocks which are linked and secured using cryptographical coding. Each block contains a hash of the previous block, a timestamp and transaction data. Blockchain is inherently resistant to any data modification of the already recorded data. Bockchain can be used to record , Bank Data example ripple, medical data i.e patientory. All cryptocurrencies must have a running blockchain. John sends 100 counterparty(xcp) to Bellah. Bellah has to provide John with her xcp wallet address ( a long code of numbers and digits) where John will feed the provided wallet address on the send option in His wallet. Some wallets require the recipeints memo or tag especially if you are dealing with an exchange. If a memo is reqiured Bellah should send it along with the wallet address to john and differentiate the two to avoid any confusion. The peer to peer network has proven to be an efficient way of sending cash since it takes a shorter period of time and has very low transaction fees. N/B Every coin has its own wallet and its wallet address, never send a coin to another coins wallet address if you do this then your coins will be lost for good. An erc20 wallet can be used to send other coins to. Wallet - A digital wallet in the traditional form puse where and individual stores his or her cryptocurrencies. Inside the wallet there is the wallet address, send and receive option, set of public and private keys (never to be disclosed to anyone and always to be saved as backup incase of one loosing his or her wallet). Remember each and every coin has it own wallet and its own wallet address. Most of the downloaded versions of wallets have to be synced to the blockchain before use. Algorithm- each and every coin must use an algorithm equation to function. the algorithms are categorised with different proof types i.e Proof of work for ethereum which uses Ethash algorithm to function another example is Zcash which uses the Equihash as an algorithm, which is an asymmetric memory-hard Proof of Work algorithm based on the generalized birthday problem. It relies on high RAM requirements to bottleneck the generation of proofs and making ASIC development unfeasible. Community : individuals who are interested with an organisations roadmap and have invested in the coin, the community also includes the development team which sees to it that everything runs smoothly. Before investing in any coin you should do your due deligence by checking their social media forums such as reddit, bitcointalk.org , twitter page, telegram group and channels, discord , slack etc. 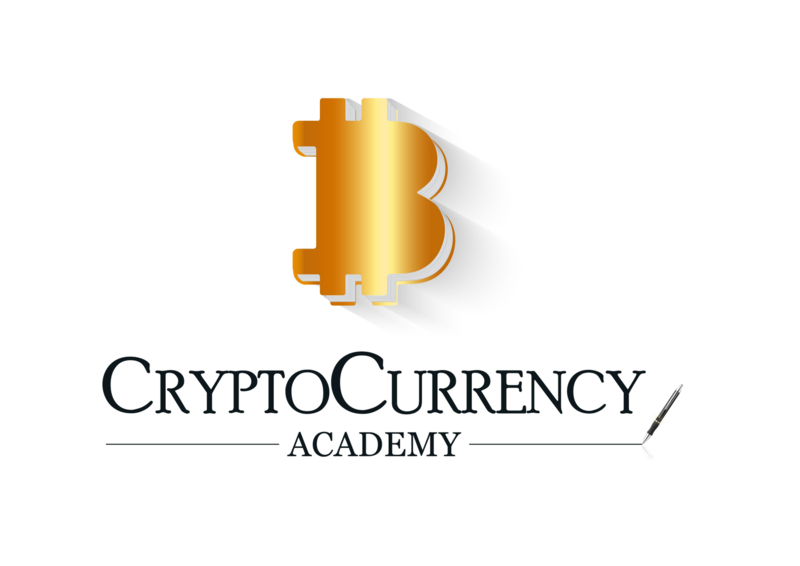 The above work and information provided is a product of CryptoCurrency Academy and is designated for our members learning.It should be used as a guide and a point of reference in the cryptocurrency world. We are in no way interested with giving any financial advice to our members. Please note that the cryptoworld can be risky so always do your research before making any rush decisions. Congratulations! This post has been awarded a 100% upvote by @sweepstake! This post was selected from among all recent posts as the winner of lottery #42, which had no valid entrants. You can win again by entering in @sweepstake's regular lottery! To nominate a post for the regular lottery, just send 0.1 SBD or STEEM to @sweepstake, and include the url of the post you would like to nominate as a memo. Good luck! wow, this is great news , what happens now? You won the upvote this round, by random. If you want to enter a drawing in the future you will likely win not many entering each round right now. I know right now I’m small but I’m growing. Send 0.01 SBD or STEEM to @sweepstake and enter for a chance to win again. i will stick with you buddy, how do you use the gifs on steemit like the one above? Just paste the URL to the GIF in the editor.